Digital safe lockers are temper proof and possess burglar proof locks. It works on keypad number entry combination locks. That way it becomes even more secure. Aesthetically also, digital safe lockers look better than conventional ones. Many lockers automomatically go into lockdown mode if left idle for more than 5 minutes. We are the dealer of Godrej Locks provide Safety services such as Cable and Chain Lockout, Electrical Lockout, Group Lockout, Safety Isolation Padlock and more. - High grade 1mm and 1.2mm cold rolled palte, reinforced structure, high intensity bearing and anti-erosion. - Convenient for stuff storage and taking-out. 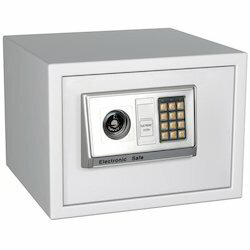 Being quality oriented organization we are offering Electronic Locker Safe to our clients. These involve high technology and latest power material. 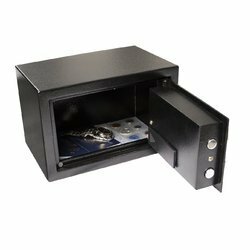 Last but not the least these Locker Safe are available at different sizes and affordable prices.